Are Burn Injuries Common on Board Vessels? Home » Are Burn Injuries Common on Board Vessels? While ships are surrounded by water at sea, that does not mean they are impervious to fires, nor are maritime workers invulnerable to burns. Just last month, a flash fire occurred in a Virginia shipyard, which sent three workers to the hospital with severe burn injuries. Just a few months prior, a fire broke out on a Royal Caribbean cruise ship while at sea, burning a crewmember and forcing passengers to be evacuated. Just a few weeks before that, a commercial fishing vessel caught fire off the coast of Maryland, forcing a rescue by the U.S. Coast Guard. Unfortunately, onboard fires are a common cause of maritime injuries. What Causes Onboard Ship Fires? The amount of onboard heavy machinery found in either boiler rooms or other areas of the ship makes fire a serious safety hazard. Boiler rooms are already warm areas containing fuel and high-pressure gases. A single leaky pipe, a damaged fuel reservoir, a puddle of oil combined with basic human factors, such as laziness or negligence is all it takes to send the room up in flames. Additionally, there are other factors, such as a type heat-producing bacteria called thermophilic bacteria that can ignite an oily rag. This bacteria can also ignite in trash cans on board a ship, especially where there is flammable waste. Thermophilic bacteria are surprisingly a common cause of onboard fires. How Can I Prevent Onboard Fires? 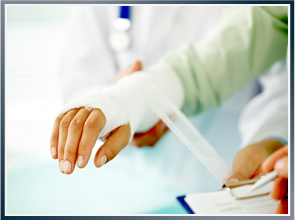 Burn injuries are often life-altering and can result in painful, long-term treatments and horrible scarring. The best way to deal with onboard fires and the trauma that often follows is to get ahead of it and prevent it. Ship owners must make sure leaks are dealt with promptly. All machinery must be regularly inspected and maintained. Flame, heat and smoke detectors must be present and tested regularly. Ship owners should consider implementing fire patrol because, after all, there is no method more effective than physical monitoring for hazards. Latti & Anderson LLP is a maritime injury law firm that fights for those who have sustained burn injuries in maritime accidents. Previous What Makes a Vessel Unseaworthy?